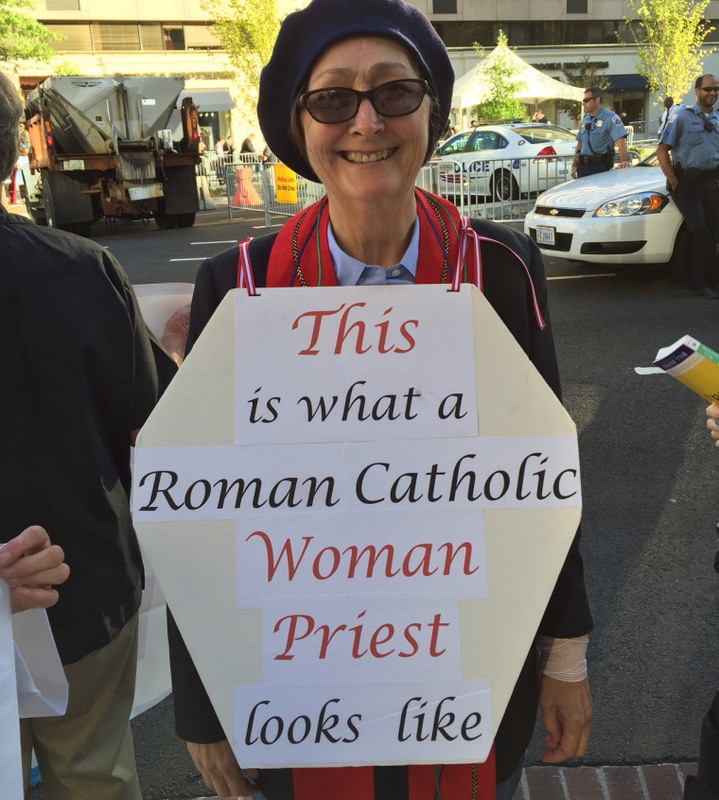 WASHINGTON — A half-dozen protesters demanding the ordination of women priests staged a "lie-in" just before Pope Francis arrived at a Washington church for a Mass with U.S. bishops. The civil disobedience, organized by the Association of Roman Catholic Women Priests, caused a small disturbance as police rushed in to clear the area of spectators and arrest the renegades. The demonstrators were still on the ground, with banners draped across their robe-clad bodies, when the pope arrived at the Cathedral of St. Matthew fresh from his meeting with President Obama at the White House. Each participant was issued a $50 ticket for blocking the road and held on the corner until the pope left the event, his motorcade whisking by them on the way to the next event, the canonization of missionary Junipero Serra. "He saw our signs," said Janice Sevre-Duszynska, one of those arrested. "He looked right at us." Her group believes there is no theological reason the priesthood should not be open to women. It ordains women priests in ceremonies that are not recognized by the church and that are considered grounds for excommunication. Despite his progressive bent, Pope Francis has said "the door is closed" on the subject of women priests, disappointing Sevre-Duszynska and others who hoped he would crack that door open. "He has not moved an inch," said Maria Eitz, who was ordained three years ago and traveled to San Francisco for the protest. "He is a good man and he is a kind man and he stands up for the poor and that is wonderful, but the poor include women and this pope does not understand women. He has called women flowers and strawberries. We are much more than flowers and strawberries." Down the street from the women, spectator Kathy Diaz, who came from Florida to be part of the pope's first U.S. visit, watched the protesters as they played a cat-and-mouse game with police trying to keep the crosswalks clear. Diaz said she would welcome female priests but doesn't think it will happen. 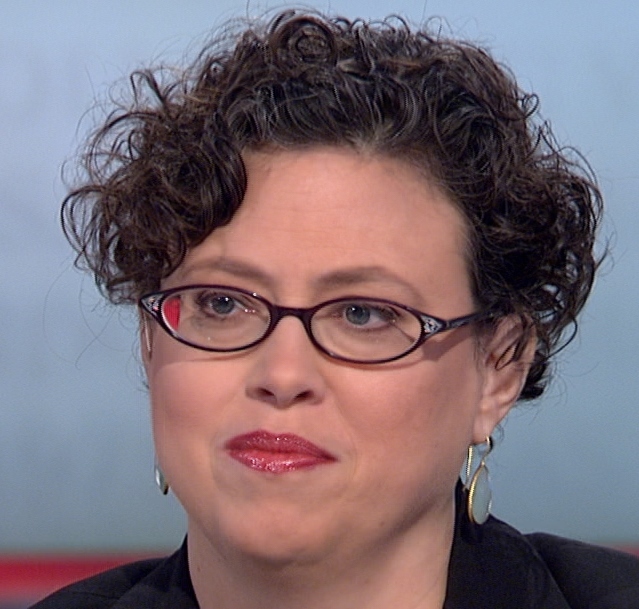 "The Bible says the priests have to be men, and the pope has to follow the Bible," she said.